#9 Things I Wish I had Avoided During my Initial Days in Stock Market. It’s not too long since I started investing, just over 3 years. That’s why I can easily remember the rookie things that I used to do during my initial days in the Indian stock market. Now, when I look back to those days, I can easily count at least 20 ‘unnecessary’ things that I used to do then. Moreover, those things could have been easily avoided if I was little more sincere or if there was a mentor to guide me. My parents never invested in stocks. The best that they did were medical insurances, LICs, and few blue chip mutual funds. Nevertheless, I’m glad that they didn’t stop me when I decided to enter the Indian stock market on my own. By the way, my parents did warn me how most of the people lose money in the market, so beware of it. However, exploring new things was never banned in my family. Anyways, the biggest problem that I faced during my initial days was that I didn’t had any mentor. That’s why I started reading books and it really helped me a lot. In a single book, you can read the whole life story of the author. By reading just 300-400 pages, you can understand what they learned in their 70 years of life, what mistakes they made and how they corrected it. In short, starting to read investing books was a life changer for me. (Btw I also read few stupid books which didn’t teach me anything and turned out to be a complete waste of weekends). Now that I have learned few things regarding investing, I consider this my duty to pass the same to all the beginners who are ready to learn but couldn’t find a place to start. In this post, I’m going to discuss 9 things that I wish I could have avoided in my initial days in the Indian stock market. Further, please read this article till the end because I’m confident that you will learn a lot of interesting points in this post. My initials days in the Indian stock market was not much different than any other stock market beginner. Honestly speaking, at that time I was too much involved in the stock market price movements rather than researching the stocks. When I started investing on my own- although the investment amount was not that big (I was investing my pocket money and savings mostly), still my involvement was no less than people who might have invested crores in the market. A funny point that I learned later is that even those people who have invested crores are not so involved in the stock market as I used to be. When I first entered the market, I was infatuated with the share prices of the companies. I had a massive wish list of stocks (in which I was interested) and I kept checking their share prices. I used to check the price at the opening session, 10 AM, 12 PM, 2 PM, closing session and many times in between. Sometimes it was over 30 times in a single day. Now, when I look back to my behavior of excessively checking the share prices, it doesn’t make any sense to me. The frequent checking of prices couldn’t possibly affect the fundamentals of the company, Moreover, it wasn’t helping in investing or stock research. I should have used that time to research new stocks (there are over 5,500 listed companies) or just study some good books/blogs/websites to gain more knowledge. During those days, I used to track my profit and loss daily. I thought that I was monitoring my stocks. However, I was completely wrong. If you are investing for long-term ( 5 years or more), short-term profits and losses won’t matter. Further, the monitoring means keeping an eye on quarterly results, important news, corporate actions like dividends, bonus etc. 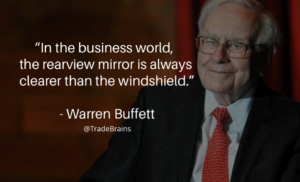 Tracking daily profit and loss is not monitoring. And, I wasted unnecessary energy while doing so. Icici direct was my first broker. I was happy with its facilities it offered and I still have this account. However, I have two brokerage accounts now. The second one is Zerodha, a discount broker. ICICI direct charges 0.55% as brokerage. During my initial days, I used to think that the brokerage charges won’t affect me much. Even if I buy stocks worth Rs 10,000; my brokerage will be only Rs 55, I can easily afford that. I even neglected other charges like Service tax [now GST], STT, stamp duty etc. However, the problem with that attitude was that I was losing money. The actual profits turned out much different than the realized profit when you start counting these charges. 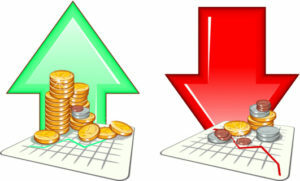 Further, even if you sell your stock at a loss, still you have to pay the brokerages, which will further add up to your loss. In addition, the brokerage is charged on both sides of transactions i.e buying and selling side. In short, I wasted a lot of unnecessary money in brokerages. If only I had used the discount brokers (who offer a flat rate on Intraday and zero charges on delivery), I could have saved a lot of brokerage charges. Also read: Full service brokers vs discount brokers: Which one to choose? During my initial days, I used to get sad when the stock market was down or when my stocks were performing poorly. Sometimes I even got so much disappointed that I thought this all as a waste of time. Nevertheless, with time and experience, I learned that short-term fluctuation is bound to happen and can be considered perfectly healthy. On the other hand, getting influenced by the stock price movement wasn’t a healthy sign for an intelligent investor. If I had understood this from the beginning, I could have saved a lot of energy. This is little tricky. There were times when I was unable to understand why the stock moved down when the company announced a good news. During that time, the problem was that I was noticing only the current news. I was not capturing the overall picture. The current good news is good, but the comments about the future can scare people. For example, let’s say that during the quarterly result, a company announced that its earning has increased by 20%. It’s good, right? However, in the same announcement, if the company admits that the sale of one of its top product is declining. Here, what can you say about its future? The current news is good but the future is scary. If the sale of the best product of a company is declining, the company might be in trouble in future. Overall, it’s important to notice the overall picture than just the current scenario. However, I neglected many of these aspects during my days. This was the worst waste of time that I should have avoided. I used to track the top performers of the day. There’s a section in the money-control website/app which shows all these information. I used to follow the stocks who were the top performers- like the stocks that moved up by +5% in a day and bottom performers (stocks whose price fell -5% in a day). Moreover, I also kept a track the 52 week low stocks (thinking that they could possibly be the under-valued stock) and might be a good time to purchase. Although this strategy helped me to learn the names of a lot of stocks, however, I never found any good stock in 52-week low company list. Neither did I find any decent valued stock in 52-week high stock list. Although I never invested on recommendations, however, there was a time when I used to read the analysis reports of stock analysts. What I was really looking for was a ‘social-proof’. If I had invested in some stock, and later found out that the analysts are also recommending that stock, I felt confident. Anyways, soon I stopped when I realized that in most cases two of the analysts are suggesting to ‘buy’ and other two are singling to ‘sell’. For example, one was suggesting to buy ‘Apollo Tyres’ and the other may be suggesting to ‘sell’. Whom to believe? Better make my own decision and have confidence in yourself. At one particular time during my initial days, I had over 20 stocks in my portfolio. There are too many stocks if you have a portfolio of just Rs 1 lakh. Over-diversification kills the profits and are makes the portfolio difficult to monitor. Eventually, I realized this and decreased the number of stocks in my portfolio. Although this is not a critical issue, however, I’m embarrassed to admit that I used to feel bad on weekends. For every regular person, the weekend is the best time of the week. However, I didn’t use to feel that way. And this was all because the stock market is closed on both Saturday and Sunday. 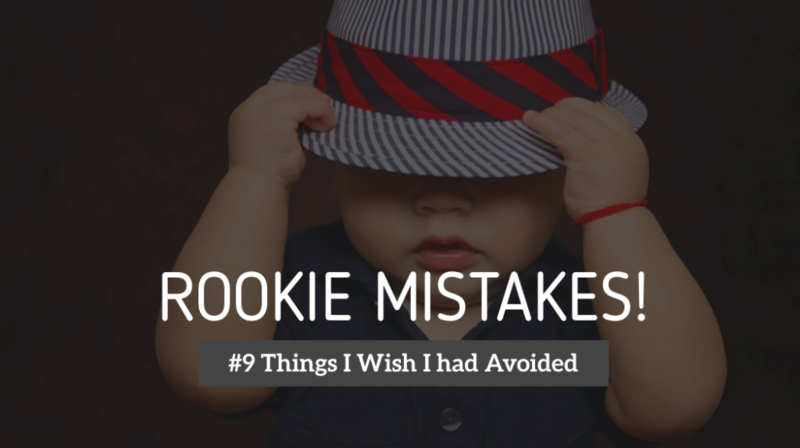 I have made a number of rookie mistakes during my initial days. However, the past is always easy to analyze. All those mistakes might look stupid now, but they were important lessons. Moreover, I never invested irrationally and tried ‘not’ to repeat the same mistake. Overall, it was an amazing experience and one worth taking. I hope this post is useful to the beginners. #HappyInvesting.